Masaaki Iwata et al., Biological Psychiatry, 2015, doi: 10.1016/j.biopsych.2015.11.026. Mental disorders are a very common condition. However, the pathophysiology of many of these disorders still remains elusive and more importantly, a very high percentage of patients fail to achieve remission despite multiple treatment trials. 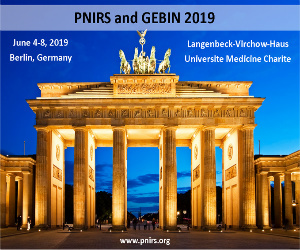 Thus, there is a pressing need to identify novel pathophysiologic pathways relevant to mental diseases that reveal targets for the development of new medications and elucidate related biomarkers for the identification and monitoring of potentially responsive patients. One promising development in this regard is the emergence of inflammation as a mechanism that may play a role in psychiatric diseases. In particular, in the depression realm, it is known that patients with major depression disorder (MDD) who are otherwise medically healthy present activated inflammatory pathways, as manifested by increased pro-inflammatory cytokines, increased acute phase proteins and increased expression of chemokines and adhesion molecules [1-4]. Aside from evidence of increased inflammatory markers in patients with MDD, preclinical studies have demonstrated that chronic stress, which is a paradigmatic experimental model of depression, leads to activation of the peripheral and central innate immune system and that increased inflammatory cytokines contribute to depressive behaviors [3, 5, 6]. In this study Iwata and collaborators focused their research on the NLRP3 inflammasome. The inflammasomes are a group of multimeric protein complexes. Inflammasome formation is triggered by a range of substances that emerge during infections, tissue damage or metabolic imbalances. Once the protein complexes have formed, the inflammasomes activate caspase 1, which proteolytically activates the pro-inflammatory cytokines interleukin‑1β (IL‑1β) and IL‑18 [reviewed in 7]. Moreover, as the authors bring to mind in their article, it seems that inflammasomes are involved in the detection of different parameters and factors released by several diseases (e.g. diabetes, cardiovascular disorders), many of which have high rates of comorbidity with MDD. They have employed rodent models of stress and depression to identify the pathways by which psychological stress increases IL-1β and the resulting neurogenic and anhedonic responses. Their results showed that stress promptly increased glutamate levels in the hippocampus. Importantly, they also showed that stress increased the extracellular ATP levels. Thus, glutamate releases ATP as a gliotransmitter from astrocytes. Thus their results are indicating that ATP activates P2X7R and releases IL-1β with subsequent induction of tumor necrosis factor alpha (TNFα) via activation of the NLRP3 inflammasome. Besides, authors studied behavioral deficits caused by the stress protocol and they found that the use of a P2X7R antagonist (which blocked the release of IL-1β and TNFα) also blocked behavioral deficits caused by chronic unpredictable stress (CUS), as showed by different behavioral analyses, including elevated-plus maze, open field and sucrose consumption tests. As it has been mentioned above, because psychiatric diseases and psychological stressors induce an increase in inflammatory parameters, the NLRP3 inflammasome may represent a promising therapeutic target for the treatment of stress-related mood disorders and comorbid diseases. This article represents a great step in the appropriate direction, and by showing different experimental approaches for blocking the deleterious effects of chronic stress on depressive and anxiety-like behaviors (i.e. blockade of P2X7R, null mutation of Nlrp3…) offers very stimulating hints for the further studies which are very much warranted. Liu Y, Ho RC, Mak A. Interleukin (IL)-6, tumour necrosis factor alpha (TNF-alpha) and soluble interleukin-2 receptors (sIL-2R) are elevated in patients with major depressive disorder: a meta-analysis and meta-regression. J Affect Disord, 2012; 139: 230-9. Haapakoski R, Mathieu J, Ebmeier KP, Alenius H, Kivimaki M. Cumulative meta-analysis of interleukins 6 and 1beta, tumour necrosis factor alpha and C-reactive protein in patients with major depressive disorder. Brain Behav Immun, 2015; 49: 206-15. Dantzer R, O’Connor JC, Freund GG, Johnson RW, Kelley KW. 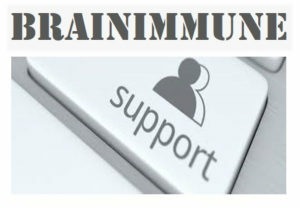 From inflammation to sickness and depression: when the immune system subjugates the brain. Nat Rev Neurosci, 2008; 9: 46-56. Berk M, Williams LJ, Jacka FN, O’Neil A, Pasco JA, Moylan S, Allen NB, Stuart AL, Hayley AC, Byrne ML, Maes M. So depression is an inflammatory disease, but where does the inflammation come from? BMC Med, 2013; 11: 200. Gárate I, García-Bueno B, Madrigal JL, Bravo L, Berrocoso E, Caso JR, Mico JA, Leza JC. Origin and consequences of brain Toll-like receptor 4 pathway stimulation in an experimental model of depression. J Neuroinflammation, 2011; 8: 151. García-Bueno B, Caso JR, Madrigal JL, Leza JC. Innate immune receptor Toll-like receptor 4 signalling in neuropsychiatric diseases. Neurosci Biobehav Rev, 2016; 64: 134-47. Latz E, Xiao TS, Stutz A. Activation and regulation of the inflammasomes. Nat Rev Immunol, 2013; 13: 397-411. Source: Cover Image: Illustration of the NLRP3 inflammasome activation. Upon exposure to pathogen-associated molecular patterns (PAMPs) or danger-associated molecular patterns (DAMPs), Toll-like receptors (TLRs) are phosphorylated and subsequently activate NF-κB. In the nucleus, NF-κB promotes the transcription of NLRP3, proIL-1β, and proIL-18. This signal (depicted in red as “Signal 1”) is a priming event. Three models have been proposed to describe the second step of inflammasome activation; and the first is the extracellular ATP that can induce K+/potassium eﬄux through a purogenic P2X7-dependent pore, which leads to the assembly and activation of the NLRP3 inflammasome. From: “NLRP3 inflammasome and its inhibitors: a review”; by Bo-Zong Shao, Zhe-Qi Xu, Bin-Ze Han, Ding-Feng Su and Chong Liu; in http://journal.frontiersin.org/article/10.3389/fphar.2015.00262/full Credit: home.frontiersin.org; Public domain, Open Access.